Our customized questionnaire will help guide you in your hunt for the perfect dock solution. Bridge the distance between dry land and your dock with one of our specially designed marine aluminum and polyethylene boat gangways. Ideal for residential or commercial, fresh or salt water settings, our gangways offer sturdy, non-slip access to your dock system, no matter the conditions. Our piano hinge connector system enables your gangway to easily adjust to fluctuating water levels. Gangway sections come in a variety standard lengths and widths, with custom sizes also available. Our connection systems make it easy to attach gangways/ramps to your dock system and easy to attach and remove railings from the gangways themselves. 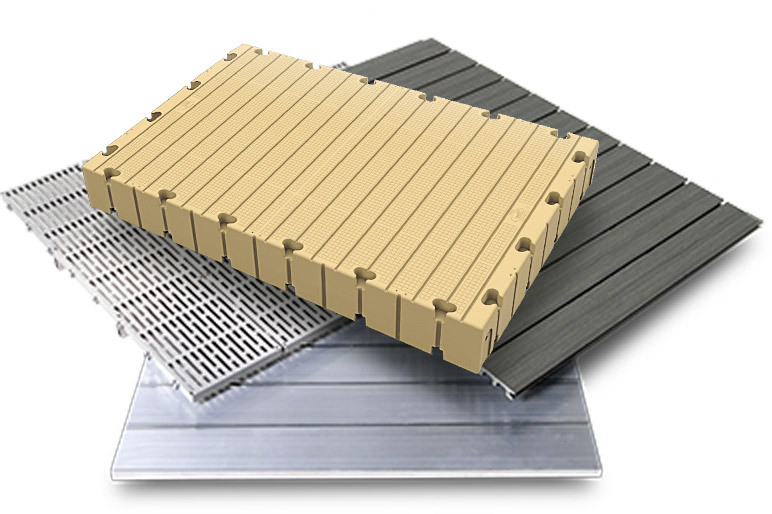 FWM Docks gangways come in your choice of aluminum or ThruFlow decking. Walk to Your Dock, connect your dock to dry land with our safe, sturdy gangways. Walk to Your Dock, Connect your dock to dry land with our safe, sturdy ramps.